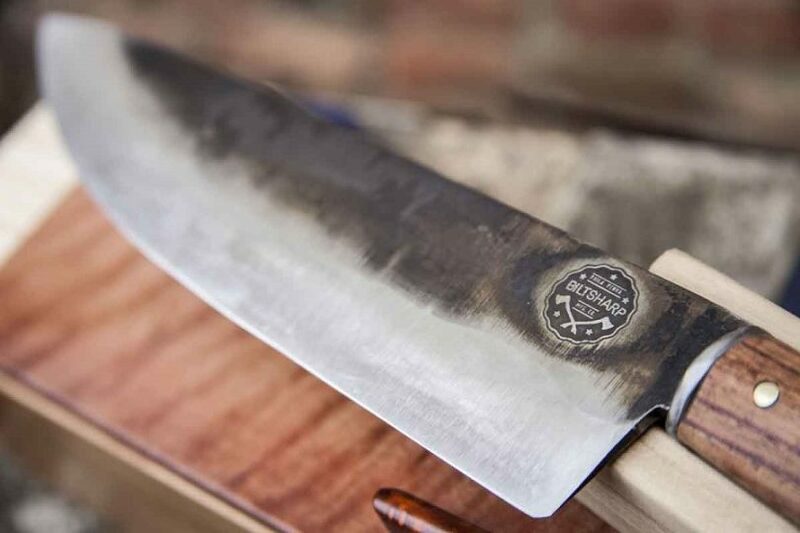 Shopping for a quality knife involves several aspects, one of which being the search for the best steel for knives. Not all knives are made equal, and there are several properties that help determine a knife’s quality. It’s not just about aesthetic appeal, but also strength and durability. There are few things worse than a knife that lets you down when you need it the most! Whether you need to clean and prepare your dinner or make tinder to get a fire going, there’s no substitute for a blade you can trust. When browsing the market, quality should be of primary concern. Even if you pay a bit more for a better product, it will be worthwhile in the end. The hardness of the blade refers to its ability to resist deformation and is measured with the Rockwell C scale. Toughness refers to its resistance against chips and cracks. The harder the steel, the less tough it will be. Measuring toughness is not quite as precise as measuring hardness. Resistance to wear and tear will reflect just how much use the blade can take. 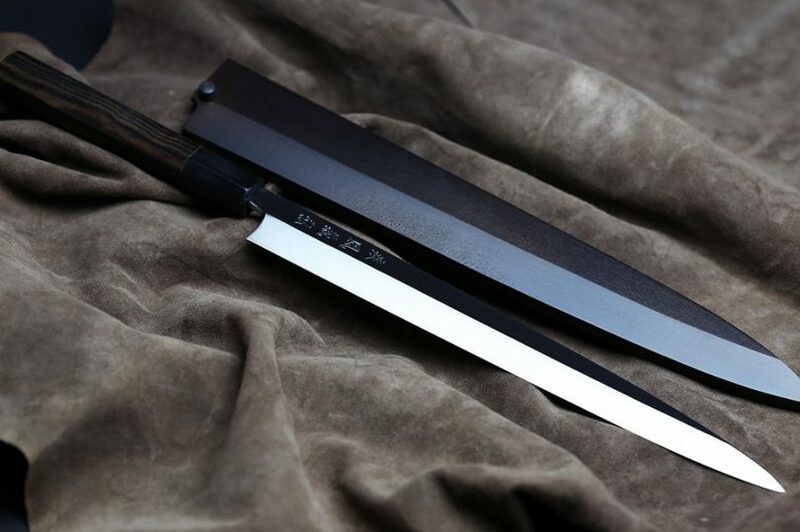 The resistance of a blade and its hardness are also directly related. Adhesive wear takes place when you cut an object and debris from this object attaches to the knife. Steel with higher resistance (thanks to special wear resistant particles) reduce this adhesive effect and therefore they last longer. Resistance to corrosion is extremely important since this refers to the blade’s ability to resist the effects of moisture, salt, and humidity. The higher the corrosion resistance, the more you will sacrifice the performance of the edge. Edge retention is another important factor, and it is determined by several factors including blade resistance to wear and deformation. Even the best stainless steel knives require proper care in order to perform properly for as long as possible. The bottom line is that the better you care for your knives, the longer they will serve their purpose. After each use, it’s essential that you clean your knife thoroughly. It’s not just about removing the solid matter but also cleaning off bacteria (if used for food preparation). Your knife also needs to be properly dried before it is stored. For solid blades, it might seem convenient to store them in their sheaths. 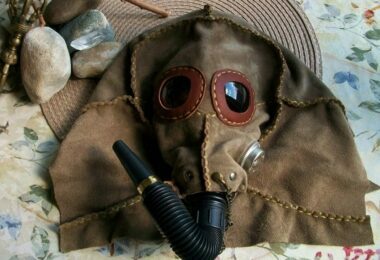 Leather sheaths, however, have a way of attracting moisture. Use your sheaths for carrying purposes but, when it comes to storage, ventilation helps prevent corrosion. Lubrication is not only for those moving parts. You should also coat your knives regularly in order to give them an extra layer of defense against the elements. Make sure that you sharpen the blade regularly and using the proper methods. 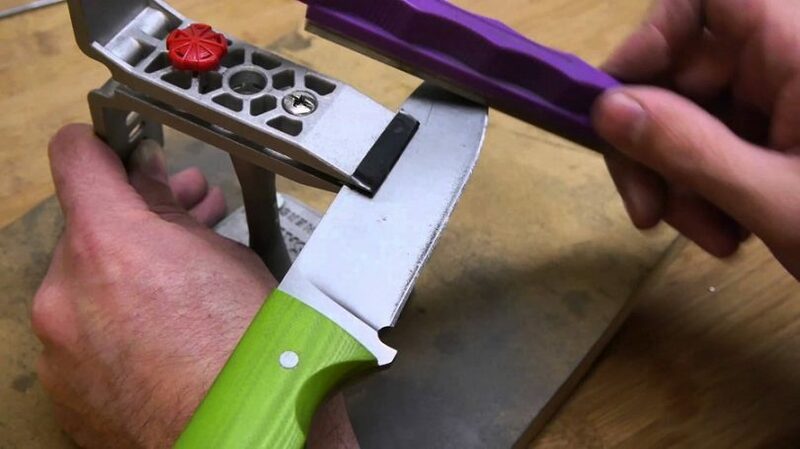 For more tips on how to take care of your blades, see our reviews of the best knife sharpeners for you to choose from. Stainless steel is known for being somewhat more brittle than certain other types of metal. This is largely due to the alloys that are added in order to give it that stainless appeal. They are usually quite tough as shorter blades but, the longer they are, the more likely they are to buckle under extreme pressure. It’s also important to understand that there’s a lot more effort involved in making stainless steel blades. This is largely due to the alloys that are added to the mix so, the more effort involved in making the blade, the higher the price tag. 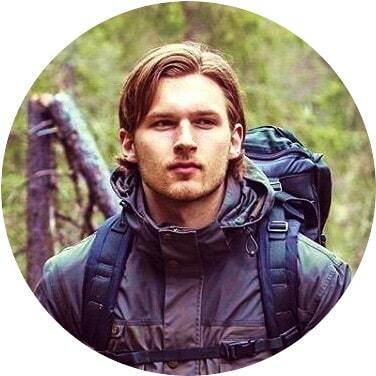 You will also notice that stainless steel weighs more than regular steel which is significant when you consider the total weight of your pack. Finally, stainless steel blades tend to require more frequent sharpening but, when they are sharp, they can cut through a wide variety of materials. 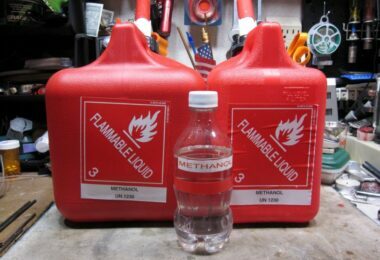 It’s also a great option from a hygiene perspective and safe food preparation. Safety is always of utmost importance whenever you own any kind of knife. Knives need to be kept out of reach of children. Accidents happen and, no matter how careful you believe your youngsters to be, it’s never a good idea to leave any sharp blade within reach. Store your knives somewhere out of reach and remember to always carry in the proper sheath. Storing in the sheath might not be advisable due to moisture issues, but it’s always good to keep knives in the appropriate sheaths when traveling. When preparing food, tinder, or using your knife for anything else, it’s advisable to do so at a safe distance from fellow travelers. Should an accident occur, the last thing you want is for a bystander to get hurt. There is always a risk involved when using any sharp object. Make sure that somebody knows where you are and what you are doing. 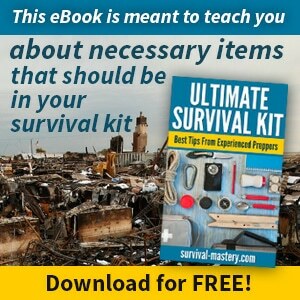 In the event of an accident, you should be prepared with the proper first aid supplies. There are a number of great options to choose from. Each of which has its own pros and cons. Needless to say the higher the blade quality, the higher the price. For many, paying a bit extra is worth it in the long run. 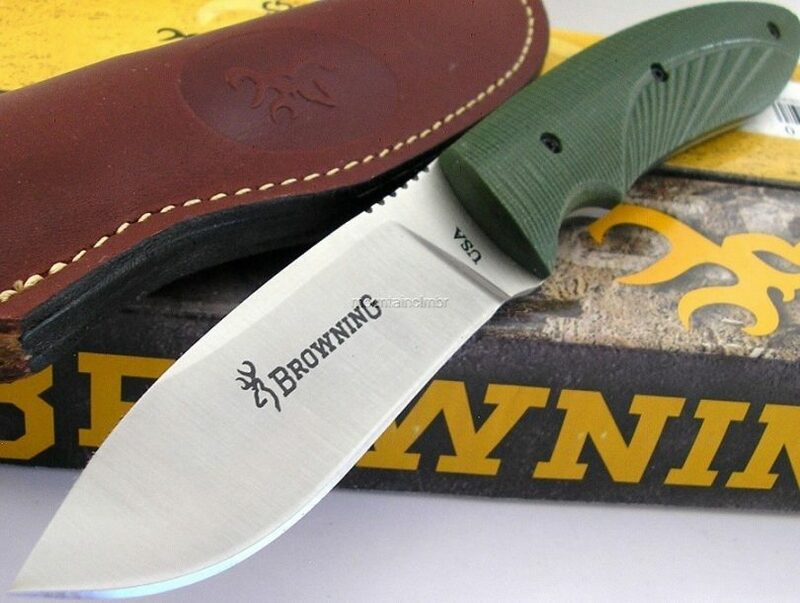 For those who are new to outdoor activities and life, a more reasonably priced knife might seem more appropriate. This is one of the most durable of all. 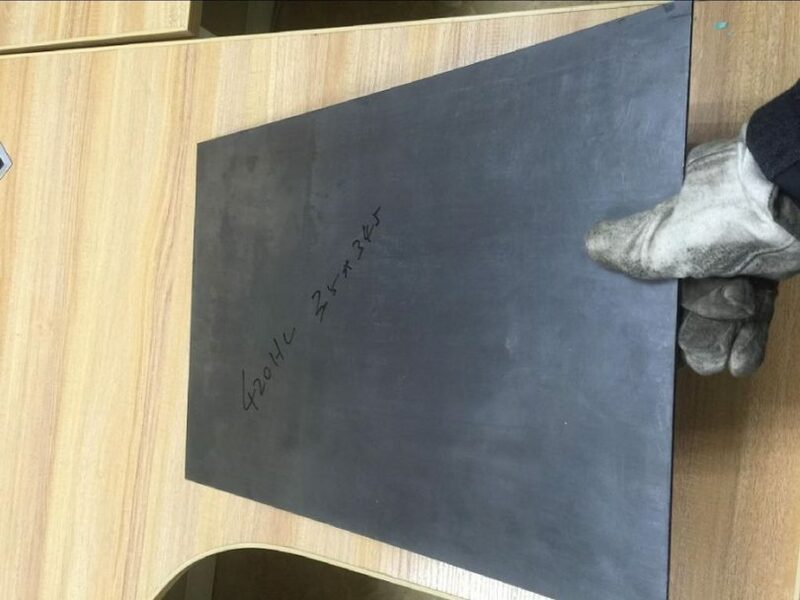 The carbon content in this blade is high along with plenty of vanadium. This blade will set you back quite a bit, but it is by far superior when it comes to holding its edge and resisting abrasions. This is one of the newer options available on the market. It offers great resistance to corrosion, and it’s a tough one too. In the metal blend, you will find chromium, vanadium, tungsten, and molybdenum. These blades can also be shined to perfection! 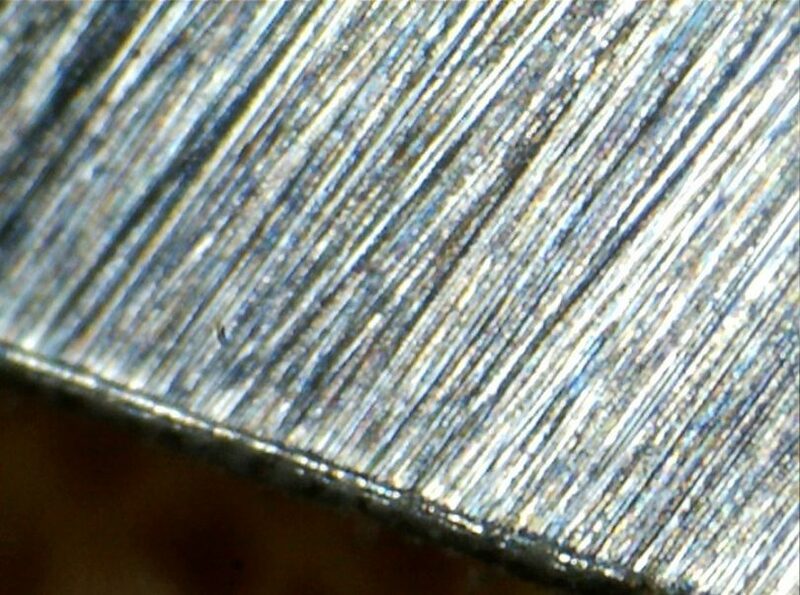 This is another relatively new type of super-steel that contains large amounts of chromium and carbon. This makes it incredibly hard and tough. While it’s incredibly durable and strong, this blade tends to be a bit more prone to corrosion, so it’s important to take special care of them. The high corrosion and wear resistance of this blade are thanks to the high levels of chromium, molybdenum, and vanadium. They are easy to sharp, and they stand up really well against rust. All of these factors make this a great all-round blade. 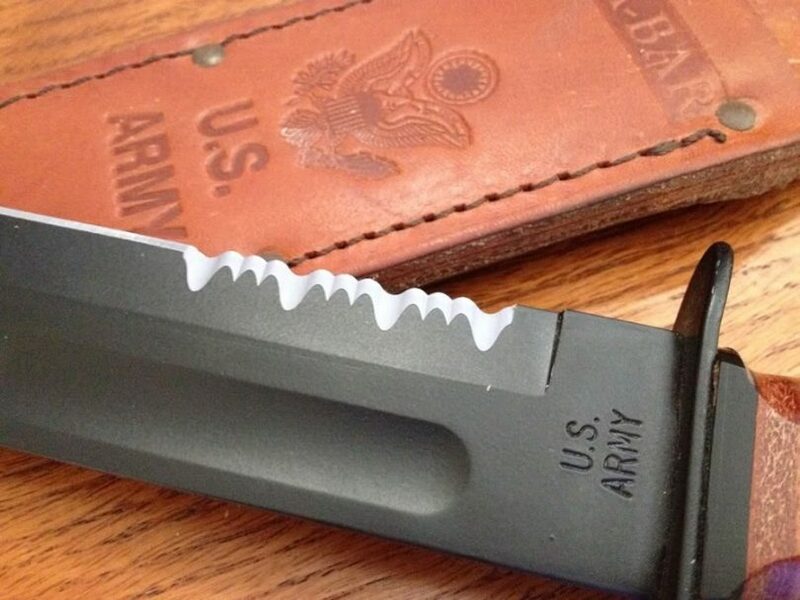 This is another relatively new type of blade with fantastic edge retention and hardness. Retaining the edge is quite easy, but it’s important to remember that sharpening this blade requires a bit more effort than usual. Its one main weakness is that it can be brittle, and it may chip. Tough, great at holding its edge, and not as expensive as many of the other options out there. It is also known for its resistance to abrasion, but it’s also a bit difficult to sharpen. Proper maintenance is required in order to prevent a patina from forming. In many cases, these knives are coated, but these coatings don’t last forever of course. This blade uses a finer grain structure than that of the S30V thanks to the addition of niobium. This makes the blade better in many ways including strength and it’s easier to sharpen too. Many experts agree that this knife offers superior edge retention, stain resistance, and toughness at a reasonable price compared to knives with a higher price tag. 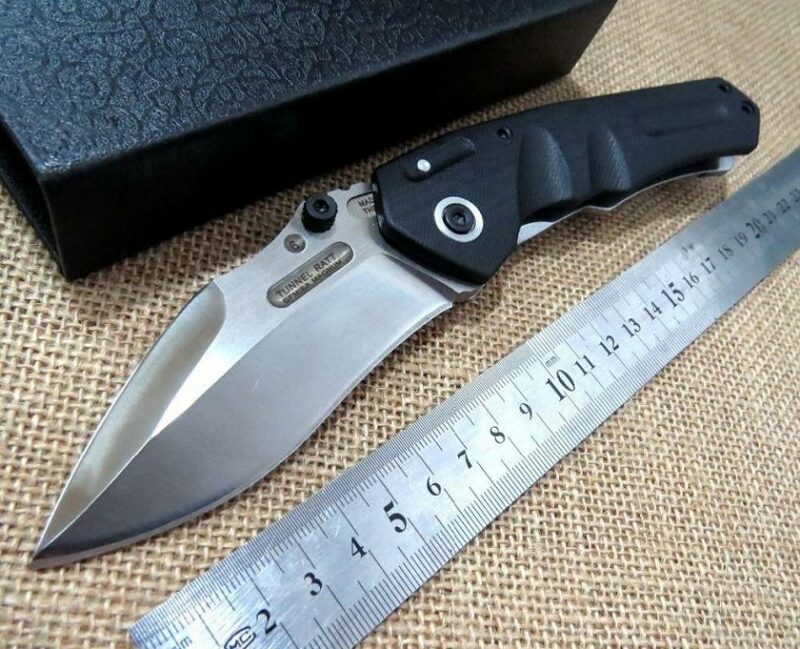 This blade is considered an upgrade of the popular 440C thanks to the addition of molybdenum. This helps it hold up against corrosion and ensures great edge retention. It’s not too difficult to sharpen, but you might want to invest in the proper sharpening equipment. This type of steel is often compared to the 154CM since it has many of the same characteristics. It has become increasingly popular over the years despite the fact that it’s not quite as resistant to rust as the 440C. 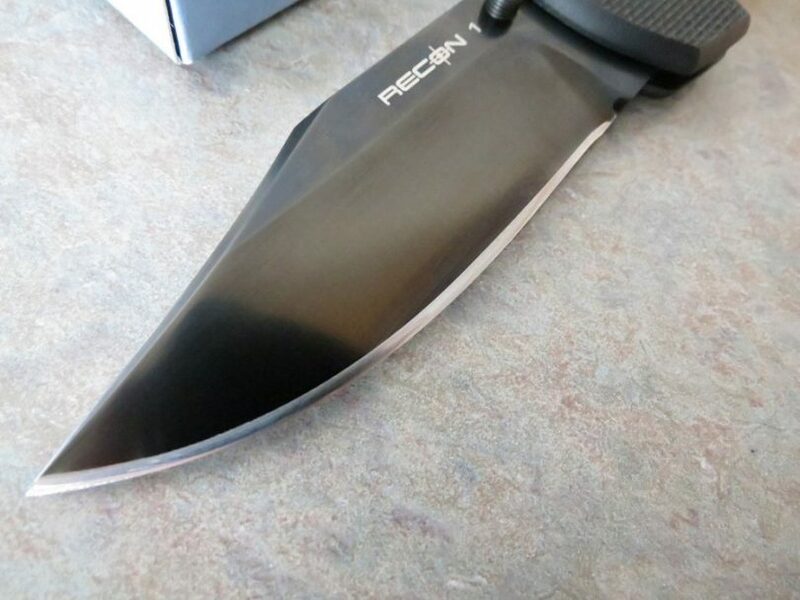 This blade is often referred to as being “semi-stainless” since it does not contain the required quantity of chromium in order to be classified as stainless. It is fairly resistant to corrosion, and it’s also harder than many other kinds of steel and holds its edge very well. In order to keep this blade sharp, you will need to perfect your skills, and you’ll need the right equipment too. Similar to the 154Cm and the ATS-34, this blade contains a bit more chromium in order to improve its resistance to corrosion. It also contains vanadium to make it tougher than the other two blades mentioned above but they can be prone to chipping. This is a really popular all-round option which has been around for quite some time. 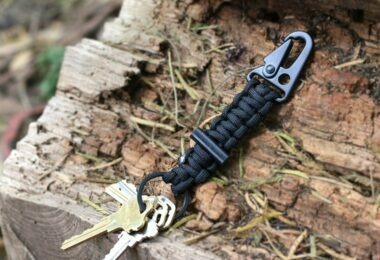 It has been used in many mass-manufactured products like pocket knives, and it’s as tough as it is affordable. It holds its edge quite well. Of all the blades in this group, the 440C has the highest amount of chromium. This Japanese-made steel is similar to 440B with a slightly higher resistance to corrosion and rust. It’s also really easy to sharpen which is an added bonus. This blade has higher levels of carbon than your regular 420, and it’s more affordable than many of the other top blades on the market. They also retain their edge better, and they hold up really well against corrosion too. If you are looking for a cheaper option but you still want something that will serve you well, then these are for you. They have a relatively lower amount of carbon which means that they aren’t as hard, and they don’t hold their edge quite as well. They are reasonably low priced which makes it a great option for your first knife. While shopping, make sure that you don’t focus strictly on the blade itself. The blade is important, for obvious reasons, but there are also other factors that help determine the overall quality of the knife. Do some research on the manufacturer and read customer reviews online to find out more about real experiences (both good and bad). Take note of the size of the knife, the size of the handle, and the type of handle too. Comfort and durability are essential when it comes to a quality handle. The last thing you need is for the handle to prove too large or too small. The tang is also important since a full tang will offer superior strength and durability. A full tang extends throughout the length of the knife handle which means that the blade won’t simply loosen and fall out one day. Take a moment to consider what you want to use the knife for and figure out whether the weight and size are suitable for these tasks. There are so many types of stainless steel blades out there, and each one is designed with specific tasks in mind. Remember, the best way to get the most out of your knife is by sticking to the intended uses! Any knife or outdoor enthusiast will tell you just how important it is to have more than one knife. Smaller knives are suitable for precision tasks whereas larger blades are great for heavy duty work. It’s always good to have several knives in your collection because you just never know what you may encounter when you’re out and about. Every time you plan a camping or hiking trip, make sure that you inspect each aspect of your knives before packing them. Make sure that they are all sharp and none are showing signs of significant wear. If you suspect that one or more of your knives is reaching its end, it’s best to replace them sooner rather than later. Even if you keep the new knife on standby, it’s better than being left in the lurch! To find out which knives are best for you, check out our reviews of the best fixed blade knives for more options.